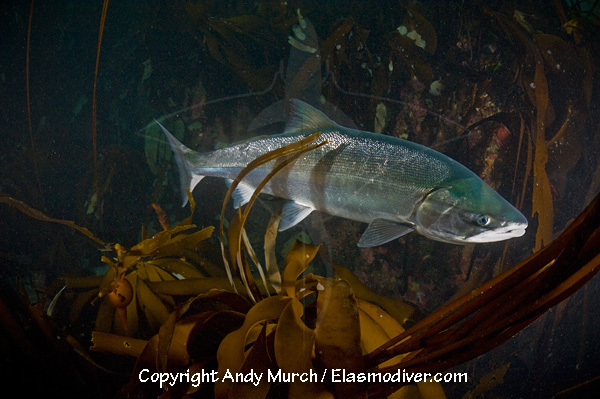 The sockeye salmon (Oncorhynchus nerka) is also known as the blueback salmon or red salmon. 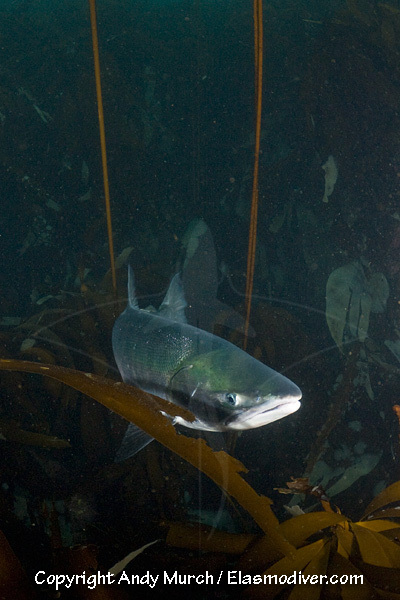 It is an anadromous species found in the North Pacific Ocean and the river systems leading into it. 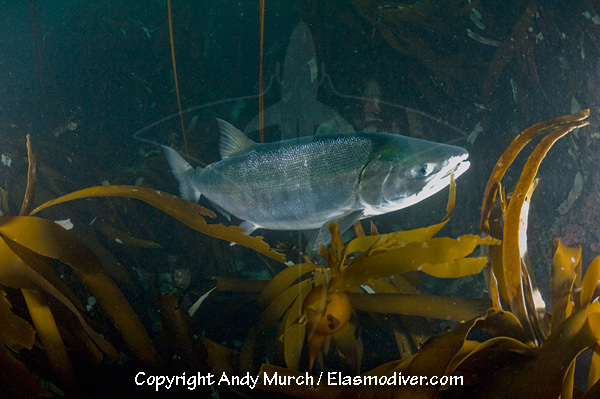 These sockeye salmon pictures are available for commercial licensing. For further information regarding usage please e-mail Elasmodiver. All of the images on elasmodiver.com are copyright protected. No unauthorized use of these sockeye salmon pictures is permitted. Please contact Elasmodiver for further information.